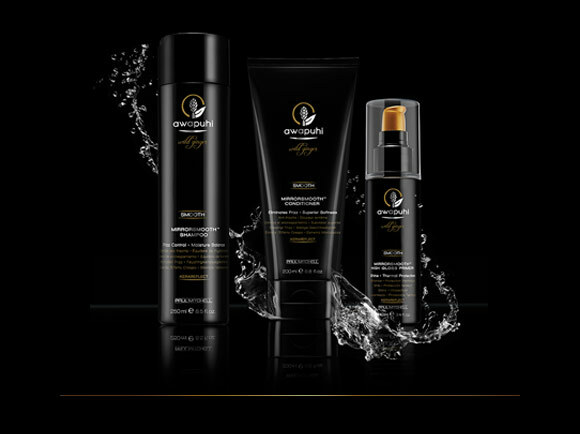 Our exclusive KeraReflectTM blend features natural Abyssinian oil for brilliant shine, awapuhi extract for optimal moisture, strengthening keratin protein and thermal protectors. 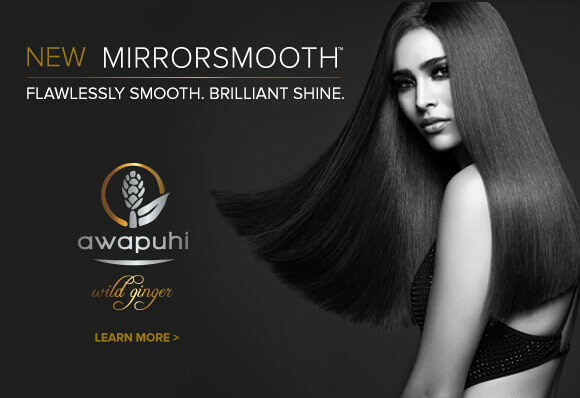 This highly effective blend transforms frizzy, lackluster locks into soft strands with a MirrorSmooth finish. Ask your stylist for more details. YOU WILL BE THRILLED! Olaplex will give you the confidence, the insurance, the ability, not to be stressed out worrying if your hair is going to break. You will see the difference the first time your stylist opens the foils and rinse. The drain will not be full of broken hair. Your will notice your hair being softer, shinier, easier to manage with less frizz for weeks. “Olaplex is going to make your hair stronger, healthier, and your color will last longer. We will mix the Bond Multiplier No.1 directly into your color or lightener and then apply the No.2 Bond Perfector before we shampoo. The charge is starting at $25 depending on length and density." Remember… Olaplex will allow you to lighten your hair far more often while maintaining the integrity of the hair. Don't fall victim to another hair horror story! We asked top stylists to dish about everyday blunders women make inside (and outside) the hair salon — with these fixes, you're guaranteed to get a good haircut. Visiting a new salon sporting a greasy ponytail puts you at a disadvantage from the start. Stylists like to see your typical hair and makeup routine. This lets them create a style and colors that complement your beauty preferences. Plan your salon visit for a day when you like your locks best — whether that’s freshly washed, day-old hair, or two-day-old hair — to give your stylist more insight into how your hair behaves. Wearing collared shirts, turtlenecks, and hooded sweatshirts to your appointment is a bad idea. “They alter the natural fall of the hair". Even accessories like earrings and necklaces can catch on combs. Remember to remove jewelry and wear simple, close-fitting tops to the salon. Just as you would discuss your medical history with a doctor, you should brief your stylist on your hair. A successful recommendation from your stylist is dependent on her knowledge of past treatments and services. The longer your hair, the further back in time you’ll need to recall. Even if you’ve covered up highlights from six months ago, they’re still in your hair and will affect how different sections respond to color. “There is no such thing as ‘do what you did last time". Jog your stylist’s memory by bringing in a picture of yourself with the style you love and explain what you specifically like about it. Time at the shampoo station is intended to be a relaxing, spa-like experience. This is not the time to interrogate your stylist or discuss new ideas, especially ones relating to what your “old stylist used to do”. Just lie back and enjoy the warm water, head massage, and herbal aromas. Spending time on your phone (or other technology) takes time and attention away from the important relationship you’re cultivating with your stylist. More importantly, tinkering with your phone can shift your posture, slouch your shoulders, and move your head, all of which can negatively impact your haircut. “It’s best to sit up straight, keep your feet planted, and keep your arms at your sides. After a new color service, sticking to the same old routine will help hues fade more quickly. “Colored hair responds like colored fabric,” says Calfee. “Leave it in the sun and it fades, wash it in hot water or strong detergent and it fades.” Upgrade to a salon-grade, color-specific shampoo; try UV-blocking products; and invest in a swim cap for the pool. After a new haircut, follow the stylist’s recommendations for tools, products, and technique unless you want to dull your ‘do fast. Remember the tips you heard, especially regarding heat settings that will prevent scorched hair. (Take notes if you have to.) “Clients tend to burn their hair with thermal appliances". A more serious offense is putting on your stylist cap at home and whipping out your scissors. Ruiz says under no circumstances should you attempt to trim bangs yourself. Fringe frames your face and is key to the overall cut; even a slight trim can shorten the wrong hairs and completely throw off your look. Like most people, you probably book too few appointments each year, dragging out your style until it’s lost its oomph. Even the best cut and color fade and require maintenance, depending on your tolerance for roots. Shorter styles require visits every four to six weeks while longer cuts can last six to eight weeks. But don’t ask to be squeezed in. “If you are forcing stylists to do a rush job, you may compromise the quality,”. And, if you’re new to a salon, try to arrive 15 minutes early to better acquaint yourself with the stylist. 2015 Grammy Awards featured more of the styles we've been admiring, some bold new takes on the trends - and a couple looks that still have us scratching our heads. The lobs, short cuts, and loose waves seen on the red carpet contained award-show-worthy elegance, but are still cool and casual enough to be great sources of inspiration for clients. Stars like Katy Perry and Zendayarocked bold looks, but only for the night, revealing that wigs may have been the most important accessory of the Grammys. The Grammys proved that the tousled lob isn’t going anywhere. Perry showcased a hard-to-miss wavy, lilac lob – which, yes, was a wig, but for those interested in rocking the look more permanently, we have the full line of Pravana Vivid, Neon and Pastel Colore at Avalon. Swift’s blonde lob with heavy side bangs gave way to her teal eyeliner and pink lips - a beautifully executed switch from her usual signature red lipstick. Kardashian’s freshly cut lob is the final piece of evidence we need to believe that the lob is not on the way out yet.